One of the most enjoyable parts of our job is getting to see the shows we license. We've seen em all...from huge productions in mammoth theatres to simple ones in black boxes. Each setting brings something special and allows us to see our musicals in a different light. Last fall one of our authors had a similar experience. Dean Pitchford, author and lyricist of Footloose, saw his work performed at St. Francis High School in La Ca-ada, California. He called us immediately afterward to tell us what a wonderful job they had done with his show. We reached out to Emmanuel Eulalia, director of the production, to find out more about the experience. 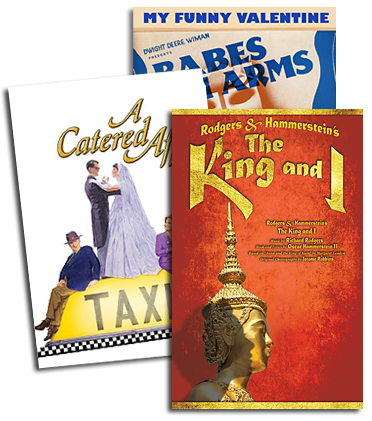 R&H THEATRICALS: Does St. Francis present a musical each year? EMMANUAEL EULALIA: We present two big productions each year - a play (often Shakespeare) in the fall and then a musical in the spring. This year, however, we decided to do two big musicals. R&H: Why did you select Footloose as one of this year's musicals? EE: I was in London last Easter (2006), and saw the West End production at the Novello Theatre. It just amazed me. It is the perfect show for the age group I work with. Plus the songs are so memorable; the parents or adults will have a great time reminiscing. And at the end of the show, we were all dancing and singing during the curtain call. I realized that Footloose would be a fantastic year opener. Not only will the kids be able to relate to it, their parents will have a fun time looking back. R&H: St. Francis is an all-boys school. Was it difficult to cast the female roles? EE: We always have a lot of girls from area schools that audition. Also, prior to the school year we offered a dance workshop during the summer. R&H: St. Francis is a parochial school. Did you have any concerns about subject matter? EE: Not at all. There's nothing inappropriate in the show. We always try to emphasize the good values we can gather from any production. We get to the core of things...value systems. R&H: What was the parental response to your choosing Footloose? EE: The response was great. The parents have all been fans of the movie version. There's a sense of excitement and looking back. Student Actor JOE CAMP (Ren): Most of the parents I knew said something along the lines of ""Awesome! That's my favorite movie! I can't wait to see it!"" Everything I heard was very positive. R&H: Footloose is produced every year by high schools all around the country. Is there a message in Footloose that you think resonates with young people? EE: There are so many - compassion, tolerance, acceptance, understanding, listening, union of youth and adult, family. JC: The ""seize the day"" message present throughout Footloose is particularly identifiable with young people because of the way we live life. We want to be able to take everything that life offers and Footloose shows us we can. R&H: Footloose requires actors who can sing, dance and act and who have lots of energy. What was the most challenging aspect of presenting the show? JC: The most challenging part of Footloose was its rapid pace. There is no time to rest and relax. It requires a lot of endurance to pull it off. R&H: Did you allow extra rehearsal time for the dancing in Footloose? EE: For this production, the leads had individual voice lessons. We also had dance instructors come in twice a week. Joe (Ren) had private training once a week at a dance studio. We made sure they looked good on stage and enjoyed the learning experience. R&H: Dean Pitchford himself came to see your production. What was that like for you? For your students? EE: To see Mr. Pitchford watch our show was indescribable. To learn that he liked our production was double the fun! JC: It was awesome to see Mr. Pitchford watch the show. I was really nervous, but I should not have been because he was incredibly kind. He just wanted us to have fun, and having him there made the experience all the more exciting. 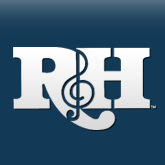 R&H: What thoughts about Footloose can you share with other high school directors? R&H: What did your cast think of Footloose? JC: I love Footloose and am really glad to have had the opportunity to do it. I would recommend it to all high schools, but with an added warning: be careful because you may get overly attracted to this musical! It is a blast!! !